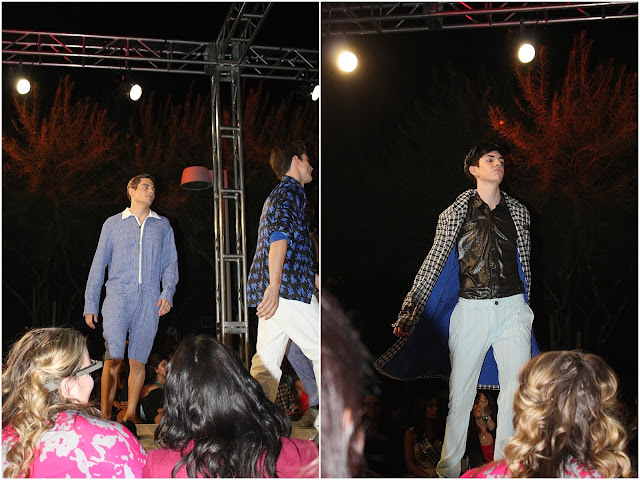 i loved attending phoenix fashion week with my girl katie. i can't wait to go next year! we will have media passes next year so we will be closer and have much better pictures. awesome. any thoughts on the male printed pants and the onesie romper thingy? How fun!! That first outfit is superb. The emerald is gorgeous!! Romper=hysterical and don't even think about it. Hunter would rock those patterned pants, and I want that yellow dress! Loving that emerald color. The yellow tiered dress is cute too.